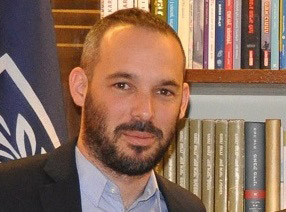 Yair Tarchitsky (born March 1st 1980) is an Israeli journalist and the Chairman of the Union of Journalists in Israel. He has written and edited for prominent Israeli media outlets including Maariv, Haaretz, Yedioth Achronot, Globes, Galey Tsahal, Channel 2, and others. He also serves as a member of the Directorate of the Israel Press Council. Yair is also co-founder and co- editor of The Movement for Public Journalism. He has a B.A in Sociology and Communication from The Hebrew University in Jerusalem and a M.A i Communication from Haifa University.